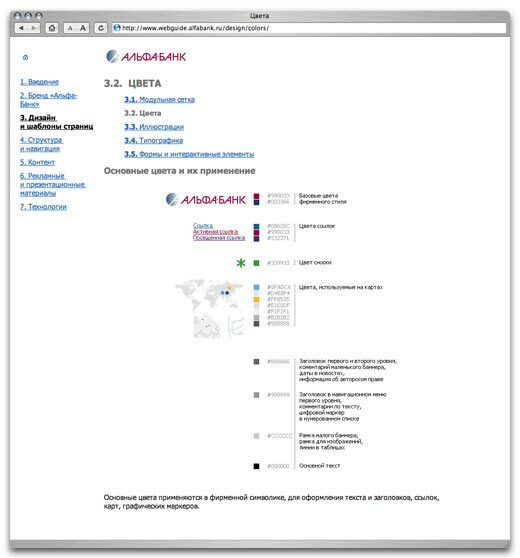 The corporate web standards guidelines for Alfa Bank is a manual containing requirements for design, information content and technical implementation of the banks (and its branches) websites, as well as for the design of advertising and presentation materials to be published on the Internet. The standards are required to sustain the equally high quality of any web projects implemented by Alfa Bank. The guidelines exist in electronic and paper versions: Art. Lebedev Studio made the website, the CD and the booklet.